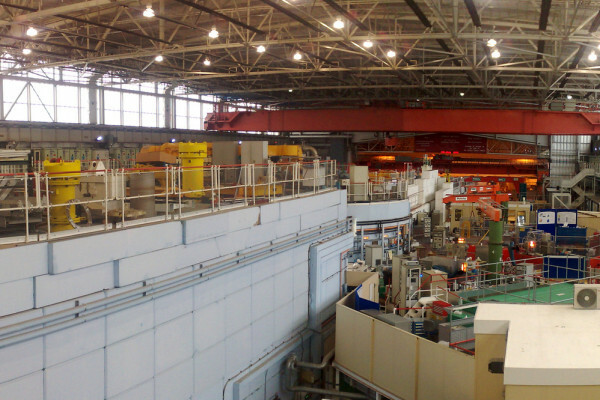 This week, join us on a tour of ISIS, the STFC's Neutron and Muon source. We find out how neutrons can probe the properties of materials, help to protect electronic circuits from failure and shed light on the action of antibiotics. Plus, in the news we hear how to print out perfect replacement cartilage. Martyn - Right now, we're standing in the middle of target station 1. We call things target stations here because that's where we make neutrons which we use like beams of light to investigate the structure of materials. Neutrons are pretty common. Each person listening to the radio now is made of half neutrons, but they're locked away inside the nucleus, the centre of the atom. And so, we need to release them to do our experiments. So what we have is a high power accelerator that fires a bunch of protons which have about the same mass as a neutron and that knocks them out of the metal target which we've got which is tungsten. Then we have a big cloud of neutrons that you can send to experiments to work with. So the structure that we're standing in front of, it's pretty big and in the sensor is a big bunker. It's as high as a house and probably several houses wide. Connecting to that is a long tunnel made of big blocks of steel and concrete, and down that tunnel whistle the protons as they're on their way to smash into the target. The target is living inside the big bunker in the middle of the hall. We need all the shielding just to make sure that the proton beam doesn't get out. The neutrons are emerging from small holes in the big bunker into instruments which are clustered around them. So, it's a little village of experiments. At each, we've got about 20 of these experimental areas clustered around this targets. Each of these can operate independently of the others, so we're doing 20 different scientific experiments at any one time. Ben - So, your accelerated protons speeds their way down a beam line, slam into a bit of tungsten that liberates a whole load of neutrons. What sort of quantities are we looking at? Martyn - So, we've optimised the way we create neutrons. Firstly, the protons are traveling about 84% of the speed of light. That delivers a lot of energy into the target and each proton in the bunch is able to cause around 20 neutrons to be released, so that gives a bit of a multiplication. But we're still quite faint compared to what you might get out of a modern synchrotron x-ray source, so we have to use our neutrons very carefully. Ben - The protons hit your tungsten target with a great deal of energy and scatter neutrons everywhere. How do you control them to actually corral them and get them to go past your sample rather than just out into these enormous concrete walls we can see? Martyn - Herding neutrons is a delicate art. They have no electrical charge which means you can't use any of the normal tricks with electric fields or magnetic fields. But instead, we can use their properties to reflect them off mirrors or crystals so you can actually shape and control a beam in it in slightly different ways, the way you might do with a charged particle, but still very, very flexible. Ben - So is it just as simple a case of putting whatever it is you want to look at in the way of the neutrons and then seeing what happens? Martyn - It is very straightforward, yeah. You have hole, you lower your experiment down in the hole, so it's inside the beam of neutrons and the neutrons then scatter, you collect them in a big detector. So, it's a bit like having an ordinary camera on your mobile phone, but instead of using light scattering off your friend, you have an experiment and you're scattering neutrons off. So, you can think of neutrons you're going to swap for light and what we have here are very powerful neutron cameras that are able to image the molecular world. 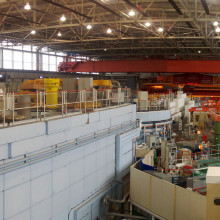 The neutron source is used to look at the structure of materials. We like to say that we can see where atoms are and also what they're doing, so how they're vibrating and rotating, and joined to each other. Unlike a large accelerator like Large Hadron Collider which is interested in the very basic makeup of the universe, we're looking at a whole range of the science that affects everyday life. So we're looking at materials that you might commonly find in products around the home or in cars, or in power plants. Now we're trying to understand how the atomic structure, so where the atoms are located, how they're joined together, how that affects our real world experience of them that allows us to either change them to have different properties or to invent new materials that will solve problems that we're interested in. Ben - What sort of things can we actually learn about that material? Martyn - The basic experiments we're doing here is looking primary at the structure of materials. So we're finding out how in all sorts of different materials such as the hydrogen absorbing sponges for powering cars, on hydrogen instead of petrol or looking at the structure of fibres made by spiders. We're looking at the individual atomic structure and trying to understand how that is linked to properties that you experience. So what you get out is a funny picture which you can interpret and determine the actual spacing between layers of atoms which is quite phenomenal. So we have an enormous machine here that's the size of about 33 football fields and that allows you to see something that's about 100,000 times thinner than your hair. So, it's an incredible machine and it allows us to do an enormous range of science from engineering through physics, chemistry out into some more unusual areas such as biophysics and archaeology. Ben - So is it just imaging that you're doing, seeing where each item is or are you also learning things about their properties, about their magnetic fields, about the way that different atoms interact? Martyn - We're actually looking at, as well as the structure, you can treat your sample at different temperatures and pressures, magnetic fields, so that will tell you how it reacts to conditions it might experience. But also as well as measuring the structure, we're actually able to measure how atoms are bonded together. So, this gives you the access to all sorts of different information such as how a long polymer chain might be flexing and parts of it rotating, and how that affects the properties. It might also be looking at the magnetism of a material. Take iron as an example, if you take that down to its atomic structure, every atom of iron behaves like it is a magnet. Neutrons are actually also able to sense the magnetism, and that gives you a whole unique insight into how they're working, something you can't really do very well with many other techniques. So when you combine being able to measure the structure with also the motion and the magnetic information that can also come out, then you have a really very, very powerful tool. Ben - Looking at other imaging techniques, there's usually a compromise. Electron microscopes are fantastic but you need to very carefully control the material you put in in the first place. The Diamond synchrotron, which is just a few meters away, is a very powerful x-ray source, but you often vaporise the things you put in. How do you need to prepare a sample to go into a neutron source? Martyn - Neutrons, by having no electrical charge are actually a nice, delicate way to visualise things. You mentioned the Diamond Light Source and the x-rays it produces are an extremely powerful and successful way of measuring materials. However, some very delicate samples such as protein crystals can suffer damage from the x-ray beam. That's where you might start to be interested in using a neutron technique. It's when you want to look at a slightly different way of seeing the material. Because the neutron has no electrical charge, it doesn't cause any damage and it's also very penetrating. So you can see right inside things that you wouldn't normally be able to see into. Say, a piece of aircraft turbine with an x-ray beam, you might struggle to see right away through it, but with a neutron beam, that's pretty simple to do. Ben - We're joined in the studio today by Professor Martin Dove from the School of Physics and Astronomy at Queen Mary University of London. He uses ISIS in his current position and in his previous life as Professor of Computational Mineral Physics in the Department of Earth Sciences at the University of Cambridge. Martin, thank you very much for joining us. We'll get on to how you use ISIS in a moment, but first of all, generally, how do scientists get access to ISIS? How do they apply? Martin - Every half year, you will write a proposal and then it gets assessed by a panel of your peers, so a standard peer review. That happens as I say every half year and then if you're successful, you get scheduled. Ben - Is there a quota that we must do this much materials, this much biology, this much basic physics, or is it just that the strongest applications win out? Martin - It's always the strongest win out, but this is the type of science where people will come along and do shortish experiments - 2, 3, 4 days and there are enough instruments and enough running time that actually, you get the mixture more or less quite naturally I think. Ben - As Martyn Bull was saying, there's a "village" of different instruments around which means it can do lots of different experiments at the same time. Martin - That's right and they're all different types of experiment. Some of them are to look at specifically a structure, some of them are to look at the way atoms move around, and some of them are a mixture. Ben - So, what is it that you currently use ISIS for in your present position at QMUL? Martin - Well, our big interest is in how the properties of materials are determined by the two aspects that Martyn talked about - where the atoms are and how they move around. We do different sorts of experiments on that. Some of the experiments we do are focused mostly on the structure. In which case, you fire the neutrons in and you measure where they come off, and you then fit a very simple model of the structure. Sometimes you actually do what is called spectroscopy where the neutrons come in and they bounce off with a change in energy and that change in energy is telling you about the energy of the vibrations inside the material. The other type of experiment, which we've done really quite a lot of lately, is where you attempt to get a series of snapshots where the atoms are at any point in time, and there, you pick up both where they are on average, but actually, how they fluctuate as well, how the atoms are bouncing around. You see both in the same picture and one of the things that we're trying to then do is build atomic models that are then consistent with the data and that tells us a lot about way that the atoms are moving around, and how particularly, the structure departs from its sort of average structure. And that very often tells you something about the way the material behaves. Ben - So, the answers that we're looking for are to do with the structure and also the dynamics of it. How do we then use those answers to actually tell us something meaningful about the physics of it or at a macro scale as it were? Martin - Well in the end, macroscopic properties or materials are determined exactly by what goes on at an atomic scale. So, if you look at something like - a range of examples - memory devices where you clearly have a macroscopic magnetism, but that is due entirely to what the atoms are doing. Batteries are another example that we've been working with a group in chemistry here. Batteries consist of an electrolyte material and then things move through them, and you have the end electrodes. Quite where the atoms are going in all that process again is something that neutrons will tell us about and where the atoms are going will determine what the battery properties are. Ben - So, you're able to look at combinations of materials as well, as well as trying to probe let's say, one homogenous material to understand how that works. In a battery for example, obviously you've got more than one material. Can you look at the interfaces, look at the interactions? Martin - Yes. Of course, this is where you start to get into a more challenging regime because most experiments, when they were originally devised as an instrument say, would've been thinking about a homogenous sample, but actually, increasing a lot of the challenges had to do with interfaces. Ben - So, what sorts of things can ISIS show you that you wouldn't be able to get from let's say an electron microscope? We know that electron microscopes can tell you where the atoms are. So, what is it that ISIS gives you that's extra to that? Martin - Okay, so you take something like beams of electrons or you take something like beams of x-rays and then you take something like beams of neutrons. They're all looking at something that's fundamentally different in the material. The neutron itself is scattering off of the atomic nucleus whereas x-rays and electrons are interacting with the electrons. So you're picking up a rather different picture. Some materials look invisible to x-rays and look invisible to electrons, some atoms, so hydrogen for example is very difficult to see with x-rays. Actually, it's really is very visible with neutrons. And so, you're getting a different view of the different atoms. Ben - So it gives you complementary science to the other science that we're doing. Ben - What sorts of materials have you actually been looking at? You mentioned to me at previous conversation about some very old materials with properties that we just don't expect. Martin - Usually, most materials when you heat them up will expand, but there are a whole class of materials that we're beginning to uncover that do exactly the opposite. They shrink when you heat them up. It's completely the opposite to the way you'd expect things to be. We also think the same materials do something equally odd which is that when you squash them, they get softer. Most materials, when you squash them, imagine compacting them, it gets harder and harder, but there are some materials that appear to get softer when you squash them. We think they're actually the same material. We did an experiment very recently, only a matter of a few weeks ago to observe this directly. The material actually is a zinc cyanide and we were able, at ISIS, to put it into a high pressure device and that was fantastic because the neutrons are able to see the sample and not see very much of the pressure device so able to pass through all the stuff that makes the high pressure, you get the signal out, and we spent 4 days, 24 hours a day, constantly changing the temperature and the pressure until we got out a picture that showed just how this was behaving and particularly, we're interested in how this was affected by temperature. Ben - And how do we think it's working? Martin - Well, it's not really a complicated picture, but it's a rather visual picture. If you think of 3 atoms in a straight line, so A, B and C, and then the one in the middle might usually be an oxygen, something like that. If it rattles up and down, at right angles to this line of atoms, and if that bond of that middle one with the other 2 atoms is stiff, that one going up and down will want the other bonds to stay at a fairly fixed length, and by moving up and down, it pulls the others in. That's kind of the way it works. It's a very visual picture though. Ben - So it actually sort of pulls them in as if they were springs as it were. Martin - It pulls them in. It's like they were rods. It's like the bonds are very stiff rods, but the one in the middle is able to flex up and down. Ben - So we're able to probe some very unusual properties. A systematic review of research into general health checks shows that, although they increase the number of diagnoses, they do not reduce the number of deaths from cardiovascular disease or cancer. 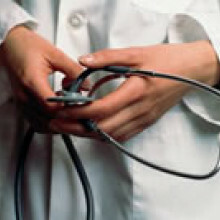 Routine health checks, or testing healthy people for indicators of a range of conditions, are common elements of healthcare in some countries. The idea is that, by checking regularly for risk factors such as high blood pressure or high cholesterol, we should be able to reduce morbidity and prolong lives. It seems a very worthwhile aim, and intuitively we feel that health checks should be a good thing. as we discussed with regards breast cancer screening a few weeks ago, there is always a risk of over-diagnosis - finding evidence of a condition that would not have become a problem, and potentially therefore recommending unnecessary treatments. Little research has been done to see if health checks actually achieved their aims. So now, a team at the Nordic Cochrane Centre in Copenhagen led by Dr Lasse Krogsbøll combined data from 14 studies into a meta-analysis to examine the pros and cons of health checks. Publishing in the British Medical Journal, Krogsbøll and colleagues looked at mortality, morbidity, number of diagnoses, hospital admissions, referrals to specialists and a number of other factors indicating health, including self-reported health, worry and absence from work. They used this to compare screened populations with those that received no intervention, in studies with between four and twenty two years follow up. Although the results varied between studies, this meta analysis found no evidence in the health-checked group for a reduction of either total mortality, or deaths through cardiovascular disease or cancer. There was evidence for an increase in diagnosis, but as this didn't lead to a change in mortality, we can assume that these are often over-diagnoses. So what does this say for general health checks? The authors argue that these health checks may appeal to people who need them less, and point out that doctors already carry out screening in patients where they think it's needed, and conclude that health checks "do not work as intended". In a related Editorial piece, Domhnall MacAuley suggests that "Policy should be based on evidence of wellbeing, rather than on well meant good intentions." Intensive salmon farms have revolutionised the supply of salmon making it accessible to far more people than before, but they do have serious problems. Many of these are caused by the prodigious amount of food that the salmon are eating. This contains a large amount of nutrients, both in the form of energy, and in the form of nitrogen and phosphorous which act as fertilisers. Some of these end up making up the salmon, but most are either missed by the salmon, or pass straight through, and can cause algal blooms and seriously alter the balance of the ecosystem. Kjell Reitan from the Norwegian University of Science and Technology is working on the old adage that "where there is muck there is brass", essentially considering these inputs as a resource rather than a problem. 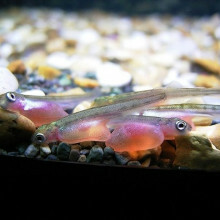 Only about 30% of the fish food is used by the salmon, the rest is released into the water. So the trick is to find something which will eat this food and turn it into something useful. Filter feeders are the natural answer so surrounding fish farms with mussel beds could transform the excess food into mussels which can of course be sold. He has found that waste fish food increases the rate of growth of the mussels and could produce 15,000-20,000 tonnes of extra mussels in Norway per year. This still leaves the nitrogen and phosphorous fertilisers, which should be able to be used to fertilize plant growth. This can be a problem if the plants are small algae which choke off everything else, but if they are large seaweeds, such as Kelp, they can clean up the water and produce a resource which can be collected as a biofuel. In Norway alone there is the potential to grow 0.6 to 1.7 million tonnes of kelp from fish farm waste. Together these could both clean up the environment and produce a resource worth 600 million pounds a year, which is a good example of looking at problems as opportunities. Ben - Researchers at the Wake Forest Institute of Regenerative Medicine have devised a new way to print out replacement cartilage in 3 dimensions and they've demonstrated that it works in a real animal. To find out more, we are joined by Dr. Anthony Atala, the director of the Wake Forest Institute. Anthony, thank you ever so much for joining us. Anthony - Good to be with you. Ben - So, why do we need to be thinking about printing artificial cartilage? Anthony - Well, we've actually been working on creating cartilage for quite a number of years. There's a major need for cartilage of course for patients who suffer from conditions such as knee problems or problems with their joints. So, having an available source of cartilage would be a good thing for patients in the future. Ben - What do we do at the moment when we need to make artificial cartilage or when we need cartilage for a patient? What are our options? Anthony - Well, there are not many options right now in terms actually putting cartilage in place. Once a cartilage wears out, it's very hard to actually put anything in there that would do a good job. So, surgery is done, but really, there's nothing better than real cartilage. Of course for example, if you have an accident where you have a hip fracture, you're putting in metal pieces in place instead of putting real ,what we call, elastic cartilage in place. Ben - So what's been the basis of your work? What have you been doing? Anthony - We basically have been focusing on creating tissues and organs using the patient's own cells. The concept is actually quite simple. We take a very small piece of tissue from the patient less than half the size of a postage stamp and we then are able to expand those cells outside the body, and we then can start creating new cartilage tissue that could be implanted into patients in the future. Ben - And this tissue that you're growing outside of the body, does it have all of the right properties? Anthony - Well, that is one of the things that we're working on, to make sure that they have the right properties. That is where the bioprinting comes in because you can actually lay down cells exactly where they need to be in a predisposed manner where you can actually programme a printer to do so. Ben - Now, we've been hearing a lot about 3D printing recently. It does seem to be the future, but 3D printing of living tissue seems quite remarkable. Does it work in the same way, whereby you have a sort of inkjet head full of a cell culture and you just literally lay down the cells where you want them? Anthony - That's exactly right. If you can picture your typical desktop inkjet printer, it really is utilising very similar technology. But instead of using ink, we're using cells. You have a printer that goes back and forth, and what we do is we modified printers so that they would print one layer at a time. So, instead of having a sheet of paper coming through one at a time, imagine printing on the same sheet of paper over and over again and just building up over the same area, until you make the 3-dimensional tissue that you need. Ben - Do you need a scaffold on which these cells can grow or can you literally just print them into 3 dimensions and they'll hold their shape? Anthony - No, you do need a scaffold actually. It's a good question and we use different materials as scaffolds. We use gels that look like gelatine if you will, then they will hold the cells together in their shape, and these gels can then harden to different consistencies as needed, and then we can also use fibres to print. And in fact, we have been able to use a combination of both gels and fibres for our printing technology. Ben - So, when you've done this, how well did the cells survive and how well did they actually work when you did the mechanical tests that imitate what a real bit of cartilage is likely to go through? Anthony - The cells survived nicely. In fact, what we do is we actually are using the same technology that you are familiar with in an inkjet printer. What happens is you have little air bubbles that gets formed inside the cartridge. 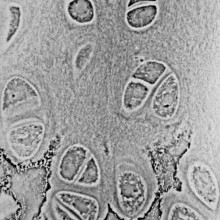 You have little air bubbles that get formed and the cells get incorporated within those bubbles, and then basically then released without heat affecting the cells. So the cells come down through the inkjet printer through the print head without being damaged and then we're able to lay them down one layer at a time until they're able to form where they need to in terms of creating tissue with properties which are very similar to those in patients. Ben - And do we think that in the future, this is a likelihood that we'll be able to just scan a knee for example and say, "Well, we need this exact 3D structure of cartilage. Let's print one out" and then surgically pop it in? Anthony - Yes, that's in fact the direction that we're headed. We are actually building printers that have scanners in them. So what you do is, if you have the injured area, you actually scan the area and with the same piece of machinery, we are able then to go back and lay down the cells where they're needed in their correct 3-dimensional structure. Ben - Fantastic! Well, that does at least sound like surgery of the future. Thank you very much, Anthony. That's Dr. Anthony Atala from the Wake Forest Institute of Regenerative Medicine. DNA, life's genetic code, can be found tightly packaged inside chromosomes. And at the end of these chromosomes are specialised bits of DNA called telomeres - which are often associated with ageing. Birds are known for their long lives. Petrels, for instance, can live up to 40 or 50 years. But by studying Australian zebra finches, whose average life expectancy is around five years, researchers can examine the relationship between telomeres and longevity. Planet Earth podcast presenter Sue Nelson met up with Pat Monaghan, professor of animal ecology at the University of Glasgow to find out more - as Pat studies the length of these telomeres in birds. Pat - You can think of the telomeres as a bit like the little plastic caps that you get on the ends of shoelaces. Also if you were to tie your shoelaces in the dark you can feel the plastic caps. Now, these telomeres do the same kind of job inside a cell. They identify the chromosome ends and they also protect the DNA from a number of processes that cause the ends to, in effect, fray, if you like. Sue - Apart from the protection aspect of what they do they're often associated with aging though as well, why? Pat - Yes they are and one of the reasons is that every time a cell divides the telomere gets a little bit shorter. Eventually it will get so short that it doesn't work anymore, then the whole genome becomes unstable and the cell doesn't function anymore, and it enters a state of what's called replicative senescence. That just means it can't divide anymore, sometimes the cell dies, sometimes it stays there but it's not quite working in the same way, so the loss of telomeres is associated with an age related decline in tissue function. Sue - Pat examines what factors are involved in the loss of telomeres, be it environment or stresses such as a change in the availability of food for zebra finches. She also led a UK team that tracked a group of these birds measuring their telomere length from when they were young until died of natural causes. And earlier this year they discovered a correlation between length of telomeres and the longevity of a bird. Pat - The best predictor of lifespan was that very first measurement of telomere length in early life. Sue - Is this also as a result of when environment kicks in and when these other external stresses possibly affect your lifestyle in much the way with human beings as well? Pat - Yes, there is a lot of work on telomeres in human beings and I am afraid that almost all the things that we know are bad for us are also bad for telomere length, so smoking and stress are associated with reduced telomere length. However, when it comes to early life telomere lengths we still don't really know to what extent growth conditions are influencing telomere loss or whether the variation that we see is largely a consequence of inherited factors. Sue - So, work is ongoing then with a whole range of factors? Pat - Yes, we're doing a number of different projects looking at different environmental conditions in the wild; animals born in different years, in different situations, in different brood sizes. 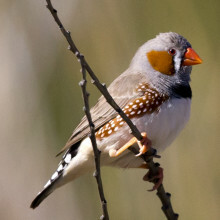 Then also we're looking within individual changes using the zebra finch. Sue - There were a lot of suggestions when your research came out of the possible connection to human ageing and it almost being that in this case when it comes to how long we live size of telomeres does matter. Pat - One of the really interesting things though is that animals can restore telomere length. Now, in normal body cells that is a very risky thing to do because if you keep restoring telomeres you run the risk that a cell can divide uncontrollably and of course that happens during cancer. It is thought that one of the reasons we don't have, for example, in human body cells, we don't have telomerase usually active, it's a protective process, it keeps a check on cell division. However, in some much shorter lived animals they do have telomerase active in their tissues. So, yes, the basic processes are relevant to humans. People haven't done the kinds of studies that we have done in the zebra finch in humans that's to say tracking telomere length in the same individuals from early in life until they die. The question about should we all run along and get our telomeres measured and say, that predicts how long I'm going to live; telomeres aren't everything there are other things that go on. So it's a very active area of biology but I wouldn't waste your money on running out and getting your telomere length measured because it's only going to make you either happy or miserable but it scientifically isn't going to tell you exactly how long you're going to live. Chris - The problem is that it's raining and it's not the rain that you and I normally see which is water. It's neutrons and these neutrons come from cosmic rays that hit the top of the atmosphere and generate, through particle reactions and nuclear reactions, by the time it's down to ground level or human occupational level, what we see is a gentle rain of neutrons. Humans and other animals have evolved in this, so while it does damage to us, it damages our DNA, we have mechanisms that repair it. The trouble is that the electronic systems that we now rely on for all our everyday lives haven't evolved in the neutron rain and so they get damaged, but they can't repair it. So we have to learn how to do that repairing for them. Ben - What sort of damage actually occurs? 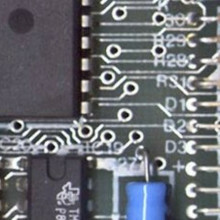 Are we talking about breaks in wires or are we talking about a more subtle, general corrosion? Chris - It's much more subtle than that. It's to do with a nuclear reaction, so the subatomic particle of the neutron collides with silicon atoms in these devices, and that causes charge to be dumped into the devices, charge is the thing that makes electronics work. So, if you put charge in the wrong place through these nuclear reactions, then you get things happening that you don't want in your electronic devices. A nice example is in 2003 in Schaerbeek in Belgium when an electronic voting machine added 4,096 more votes to one of the candidates. I quite like to say that neutrons can change governments but it was in fact a local election and so, they worked out that there was something wrong really because there were more votes than there were people. They worked out in fact, it couldn't have happened and they traced this back to a neutron. So a neutron effectively voted in a local election in Belgium through this neutron rain idea. Ben - How widespread a problem really is it? Chris - It is all over the world. The neutrons are generated through cosmic rays and these cosmic rays are from the galactic source. They're not the ones that come from the Sun. They're pretty much constant. They've been constant for millennia and it's constant day and night all over the world. There is a slight variation due to the magnetic field of the Earth, but it's a problem worldwide and it's a problem associated with pretty much all of the electronic industry. Of course, the biggest problems are in the critical electronic systems; examples of that are flight systems on aircrafts. As you go up in the atmosphere, it's 300 times greater at flight altitudes than the ground level and if you think about that, that means is if you would see something go wrong once a year on the ground, you'd see it go wrong once a day at flight altitudes. So, where this emerged first was in the aerospace industry. But the sky is falling and what I mean by that is that electronic systems on the ground are increasingly seeing these effects as well, both in critical systems and in ones that we rely on every day. In the course of our lives, if you do banking, if you go on the internet, if you do almost anything in your life, you're interacting with electronic devices and if those electronic devices go wrong, it could be inconvenient. In the worst possible case, it can cause injury. Ben - So, what actually are you doing here at ISIS? Chris - Well, what we're able to do is that we have a neutron source and that neutron source thankfully, can mimic the spectrum of neutrons. What I mean by it is that the neutrons don't come in at one energy, they come in at all sorts of energies, and they come in at different numbers across that energy spectrum. What we are able to do here is to mimic what the spectrum looks like with neutrons on the ground so we can mimic the way they exist in nature. The difference is that we can accelerate it somewhere between a million and 100 million times. What that means in reality is if you come and put your electronic device in our beam line for say, an hour, then you can end up the equivalent of something like hundreds of years in the real environment. So, we do a thing called accelerated testing and from that, we can work out how susceptible it is and from that, work out ways in which we can correct the faults in those electronic devices and make them safe. Ben - So essentially, you'll see how often these devices fail and that can tell you how likely they are to go wrong in the real world. You then must tally that up to how long their operating life would be anyway, and therefore, you can tell whoever your client is, that this thing will be safe to use in the wild for 10 years or whatever it may be. Chris - Yes, it's exactly right. Not only that, it can tell you whether you need to correct it, because some devices might not be actually susceptible, or their susceptibility means that for instance on a phone, it might fail once every 3 years, in which case, you don't care. But if it was to fail every 10 minutes, you would care. So in that case, you might decide that actually it's worthwhile in your development stage of your phone to put correction mechanisms for these events that goes on into your phone. That will cost you money to do that because it takes time for software programmers and engineers to design it in. So it tells you not only that it could fail, but it tells you how often it fails and it can also tell you how you're going to correct for it, or even if it's worth it. So, it's a great deal of commercial value to people who produce things that we use every day. Ben - What sorts of industries do you think are likely to knock on your door? Chris - We've already had them knocking on our door and the kinds of industries are pretty much anybody that produces electronic devices where at the moment, failure will cost them either in safety issues, so that would be the aerospace industries; or in commercial issues and examples of that are people who build the servers and the connections that build up the internet. So, if you have a business that relies on a server, the person who sells you that server wants to tell you that that's a very reliable server, so people will come along and test those servers or the devices in those servers to make sure they work correctly. Ben - And how can you protect from this neutron rain? Chris - Well, it's a thing called hardening by design. It's a bit of a mouthful, but what it means is you're put in redundancy, so you build many circuits and all of them around at the same time and they can vote on which one's the best or as you put things that constantly check to see where the errors are occurring. That increasingly becomes difficult as electronics gets more complicated, the kinds of errors we're seeing and the way that they propagate through the system is changing, and so, we have to stay ahead of the game, and test to make sure that it works properly. Ben - So, you'll not just recommend that everybody keep their servers in a lead lined room in order to keep them safe. Chris - Unfortunately, a lead lined room won't do anything. The neutrons are so energetic they go straight through lead. So, you can't protect by burying them in the ground unless you go a long way into the ground. So, what you have to do is hardening by design. You have to think about it carefully. You have to understand what's going on and then you design within your circuitry, within your software, within all the firmware and the way that it works to pick up the errors and correct them. Ben - That was Dr. Chris Frost, the Project Leader of Chip Radiation Research at ISIS. Ben - The final stop on this week's tour of ISIS shows us how it also has a lot to contribute to the study of biological systems. In fact, ISIS has been used to shed light on how a naturally produced antibacterial protein gets into cells of E. coli. 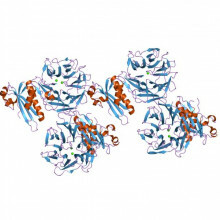 Anton - We have a toxin that's called colicin N. It's produced by E. coli to kill competing E. coli cells. So, when the E. coli cells in nature are under stress, such as a lack of nutrients, to control the population, the E. coli will produce this toxin to kill off the competing cells so that there's enough nutrients to go around. The problem that we were looking at was, E. coli are what we call Gram-negative bacteria which mean they have a double membrane. How does this toxin cross the outer membrane to get to the inner one? It uses proteins in the outer membrane to do this. So, we were looking at how does this toxin bind to the receptor protein and then cross that outer membrane. Ben - So, this is a natural antibiotic and you're trying to work out how it works. Ultimately, what would be the point? Why do we need to know how it actually gets into the cell? Anton - A number of reasons. A membrane is what we call a hydrophobic barrier. It kind of prevents things that we don't want to get into our cells like toxins and poisons getting in and so, one aspect of the research is, how do things cross this hydrophobic barrier in general? Also, it's looking into how large antimicrobial agents kill cells as well, how are they transported across membranes so that in the future, we can manipulate this process to make better anti-microbial agents. Ben - Why do you need to use a neutron source like ISIS for this? Why can't we just look at these cells under a microscope and try and observe what's happening? Stephen - Hi, I'm Stephen Holt. Well we can certainly look at them under a microscope and we can observe physically what's happening to them when you can see their shape change, you can see that their toxin has been effective, but you don't know how they're doing it. So, what we want to do is we want to get down to the molecular level and get that detail. With light, you're restricted in resolution and in other aspects as well such as determining different proteins, just can't do that directly. With some fluorescent tags, you could, but then once again, you don't have the resolution that's really required. We decided to use neutrons to do this to get down to that molecular level and just try and see what each individual component was doing. I'm sure you're all aware that water is made up of H2O, hydrogen and oxygen. Neutrons will interact with hydrogen in one particular way and the real strength is that if you use deuterium as opposed to hydrogen - so that's an isotope of hydrogen - you can have D2O, so-called heavy water. Neutrons will interact with that very, very differently. Then you can do the same thing with your proteins, you can replace some of the hydrogens or all of the hydrogens if possible with deuterium. So it's like tagging one of the proteins for neutrons. Then we're able to see the two different proteins as very different entities. When we do this to them, we can pick them out individually and that enables us to locate them within the complex or within the membrane that we're looking at and to determine how one is moving say, from the solution into the film. Does it move all the way in? Does it move part of the way in? Where is it located? And we can see very strong differences between when we've got the membrane protein there. And when it's not there, the toxin ended up in a very different position relative to the membrane. Ben - Luke, what are you actually doing with ISIS in order to see these interactions? Luke - Well, for this particular piece of work we used two of the techniques we have available at ISIS. One was small angle neutron scattering which allows us to examine the low resolution structural particles in solution and the other was neutron reflectometry which allows us to analyse the structure surfaces. Small angle neutron scattering is particularly useful in looking at the structure and structural changes of proteins in solution whereas a neutron reflectometry is good at looking at the structure of a model biological membranes and interactions with these. Ben - I assume their names give you a clue as to what's actually happening? So the small angle scattering involves seeing what happens when you aim the neutrons at a very acute angle and see how they scatter whereas the reflectometry involves looking at how they bounce off? Luke - That's correct, yeah. Ben - What have you actually found out about this protein? How is it getting into those cells and doing its antibiotic work? Stephen - The amount of the toxin protein that went into the film, there's just no way that can be sitting inside this ion channel which is usually used just to enable individual ions - you have chlorine, etc. - to come in and out of cells. There's just no way that we could've stuffed that amount of protein inside these channels. It just wasn't physically possible. So then we figured the only that can be happening is that it's sitting on the outside. And so then, when the small angle neutron scattering work was done, the structure, the low resolution structure that came out for the complex very clearly showed that the colicin N toxin is actually going up between the membrane protein and the lipids in which are sitting in it, and it's not completely unfolding and going through this ion channel, but it's actually going around the outside and not having to unfold and perturb its structure as strongly as it would do if it went the other way. Ben - So, it seems to be taking advantage of a weakness between a membrane protein and the membrane itself and that's how it sneaks through. Stephen - Whether you called a weakness, I'm not sure. It's clear that if you just add any protein into the presence of E. coli, it doesn't go through that barrier. So, there's still something very special about the way that colicin N toxin can go through this. So this is not a general transport route. It's specific to this particular protein and then if we can understand some of that specificity, then that perhaps is a way to begin to attack bacterial cells. Ben - Stephen Holt from the Bragg Institute and before him, Luke Clifton from ISIS, and fellow Bragg Institute member, Anton Le Brun. 50:43 - How long do fundamental particles last? How long do fundamental particles last? Martin - Protons and electrons, as far as we're concerned in our lifetime last forever. Neutrons last for just under 15 minutes if they're on their own. To do an experiment, actually the experiments we do with neutron scattering take place where you only need for them to last for less than a second. So that's not an issue. But you can actually capture neutrons, put them in something like a little bottle. They last for just under 15 minutes. If you have a neutron that's actually part of a nucleus then it effectively lasts forever. But on its own, just under 15 minutes. Dave - So being inside that nucleus is somehow stabilising it, making it last a lifetime. 51:46 - How does ISIS help Earth scientists? Martin - Well, the way the Earth works depends upon the properties of materials that make up the Earth. So, much of the inner Earth is made up of different sorts of silicates and then you come up to the crust and you have many more different types of minerals. The ISIS neutron source is excellent for understanding the properties and structure of these materials. One of the things that you can do with neutrons which is very, very helpful is that you can do experiment where you put the sample under both high pressure and high temperature. And what you can do with neutrons because neutrons tend to need quite large samples, is you have a very large sample, but what you're able to achieve is actually a very good distribution of temperatures and pressures across the samples, so that it isn't as if the sample is cold at the outside, hot in the middle, and you get a big range. In fact, it's really quite good. Dave - So, this is so you can understand how a material works under immense pressures deep inside the Earth which we wouldn't know about otherwise. Martin - Yes, that's right. You couldn't understand exactly how it compresses, where the atoms move to when it compresses, if some of the processes inside the mineral to cause it to change shape, the bonding changes, you can see all of that. Ben - So, it gives us a more realistic picture, basically by being able to interact with the physical properties as well as actually just having a look at the structure. Martin - Yes, that's right because things like how stiff the material is, it depends upon where the atoms are in relationship to each other. That's exactly what we're learning. 53:34 - Can we image subatomic particles? Can we image subatomic particles? Martin - You can see a nucleus and the nucleus of a hydrogen atom is a proton which is the same. You can't see below that at least with a source of neutrons that ISIS produce, but you can see down to the level of the proton. 54:07 - Would things sound different on Mars? 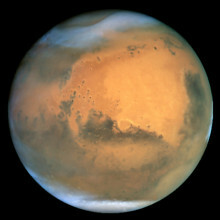 As the Martian Atmosphere is much thinner than down here on Earth - how does this alter the way sound travels? On Mars, can anybody hear you scream?